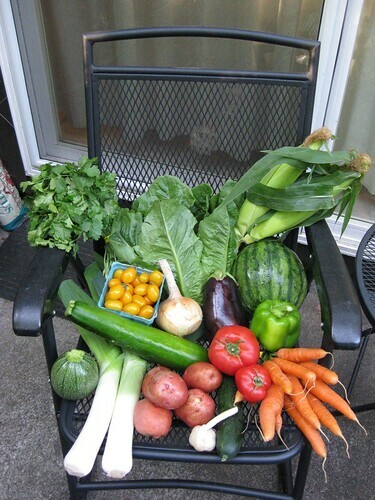 CSA Week 14 - Crochet, Starbucks and roadtrips, oh my! It's a good week, except for the cilantro! Cory's tired of roasted veggies, though, so now I have to actually be creative in the kitchen. I'm thinking some kind of pasta with sauteed veggies and a vinaigrette might be nice. We shall see what mood strikes me.